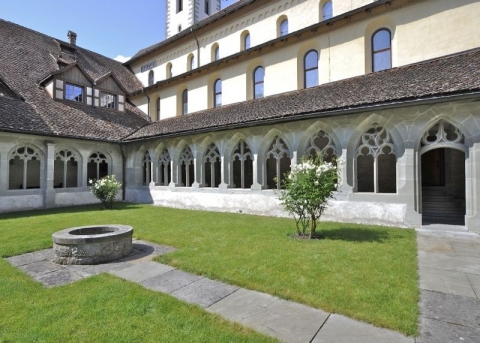 The former Benedictine Abbey of St. George is one of the best-preserved monasteries in Switzerland. It was founded in the 11th century and underwent significant structural changes in the 15th and 16th century. Despite further alterations, the monastery's appearance is still characterised by the extensions added between 1385 and 1516. The monastery is made up of buildings containing a chapter room, the refectory, the cloister, dormitories, the abbot's quarters, a banquet hall, the abbot's chapel and several outhouses. 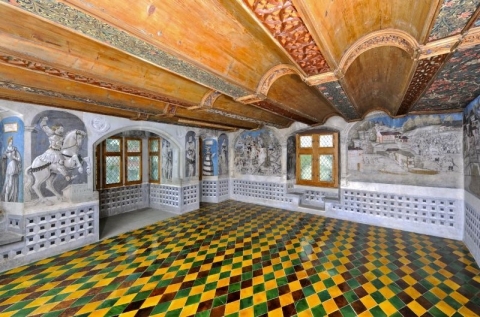 The late Gothic cloister and the banquet hall erected under the last abbot of St George, David von Winkelsheim, are of special significance as they house the most important surviving fresco paintings from around 1515 north of the Alps. The monastery was dissolved in 1525 as a result of the Reformation. 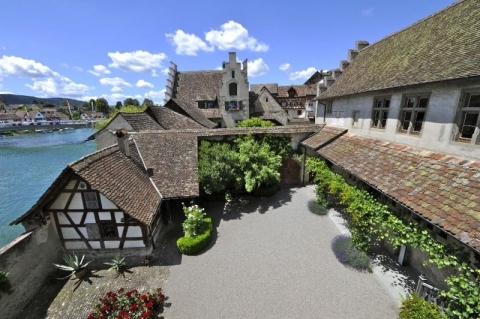 In 1926 the Swiss Confederation acquired the monastery. Today it belongs to the Federal Office of Culture. Das Kloster liegt etwa zehn Gehminuten vom Bahnhof Stein am Rhein entfernt. Regionalzüge verkehren ab Winterthur und Schaffhausen. Von der Schiffsanlegestelle aus erreicht man das Kloster in rund fünf Gehminuten. April to October, Tues – Sun, 10 am – 5 pm.